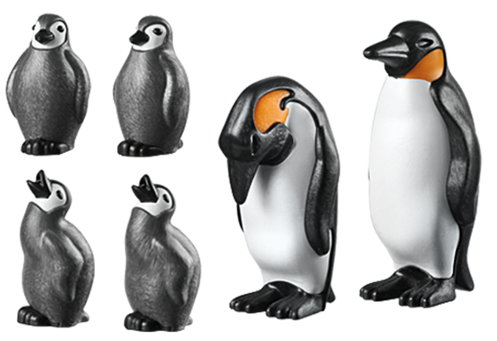 Waddle around town with the PLAYMOBIL Penguin Family. Dive and swim underwater to catch fish and squids for supper. Join in on the fun and slide on your belly across the snow. Huddle close together to keep warm and watch over sleeping chicks. Let your imagination play! 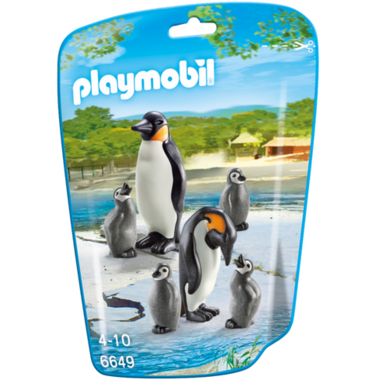 Set includes two adult penguins and four penguin chicks. 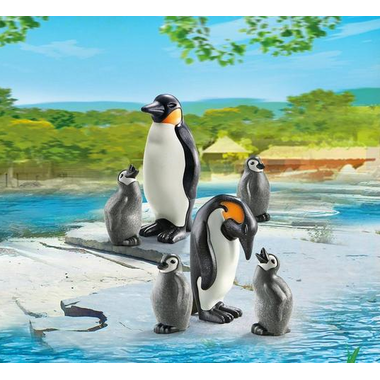 Play with this set on its own or combine it with the Large City Zoo and Zoo Enclosure to create a new animal section full of wild fun! Inspires children to create their own adventures and let their imagination play. Adorable set, perfect stocking stuffer. My kids loved these!